I’m very happy because I’ve met Willie – a carpenter who doesn’t look at me as if I’m crazy when I tell him I want to use certified British wood to build cupboards for my son’s room. In fact, he even tells me he can build them using reclaimed wood from scaffold planks. But the greatest joy of all is that his quote doesn’t require me to reach for the gin bottle. It’s so reasonable that I start planning the next job I can give him from my endless carpentry to-do list. So, why am I using British wood for cupboards that are going to be painted and used to store my teenage son’s collection of sporting footwear? Well, the answer is two-fold. I’ve decided to make our house, as far as possible, an MDF-free zone. This is not a cheap decision but I’m bothered by the ubiquitous use of MDF. MDF stands for medium density fibreboard and it is produced from bonding sawdust with resins under high temperatures to make a cheap and easy-to-work carpentry material. However, the production of MDF is extremely energy intensive and the resin used to bind it is formaldehyde, a recognised carcinogen. The cutting and sanding of MDF releases tiny toxic particles into the air which carpenters have to be very careful not to inhale. Although most MDF is covered in a plastic laminate and sealant to prevent the fibres from becoming airborne, I’m still wary of its potential to off-gas and contribute to poor indoor air quality, especially when it’s in a teenage boy’s bedroom! The second reason, is that I’ve discovered Grown in Britain or GIB for short. Woodland cover in Britain is at about 13%, well below the European average. 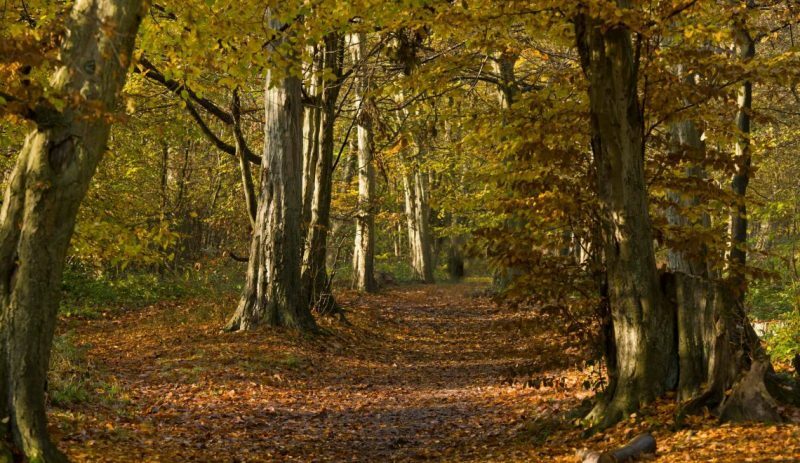 It’s been estimated that Britain has lost more ancient woodland in the 40 years after the second world war than in the previous 400. GIB is working hard to increase demand for British grown timber thereby encouraging the planting of new woodland. Wood is the ultimate renewable resource because it absorbs carbon dioxide as it grows and locks it away for centuries. By using wood that has the Grown in Britain logo I know it hasn’t travelled across the world to get to me; a new tree has been planted in its place; and I’m supporting British industry and helping British wildlife. It’s taken me a couple of years to find a carpenter as good as Willie who’s prepared to source me British wood and work with reclaimed materials for a reasonable price. But it’s surprising how many carpenters are interested in the provenance of the materials they work with. If you’ve got carpentry works planned, consider using wood rather than MDF – there’s a financial downside but the upsides in terms of the environment and indoor air quality are endless. Ask which British grown woods are suitable for your job. Douglas fir is good for cabinetry, sycamore for outdoor furniture, white pine for smaller pieces and oak is obviously the king of woods but has a price tag to match. The Grown in Britain website has a list of suppliers holding the GIB licence including flooring, fencing, furniture, garden products and charcoal suppliers. The finished piece – painted in VOC-free paint from Lakeland Paints, matched to F&B colours.